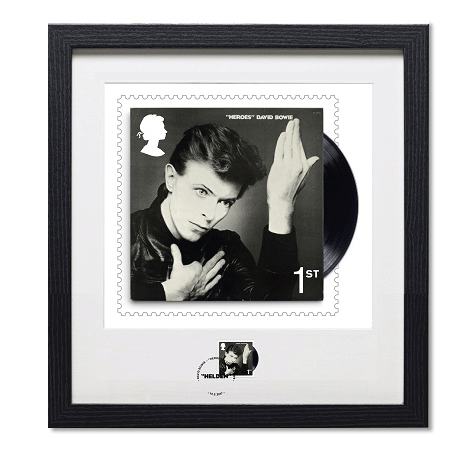 David Bowie, who died just over a year ago, is to be honoured in a set of stamps and souvenirs by the Royal Mail. They say; “We’re thrilled to reveal the next instalment in our Music Giants Special Stamp series: a tribute to David Bowie, one of the most influential music and cultural figures of all time”. Alongside the Special Stamps, First Day Covers and Presentation Pack, this exciting issue will feature several limited edition David Bowie souvenirs, some of which have an edition limit of just 950, including a ‘Heroes’ framed stamp and print. 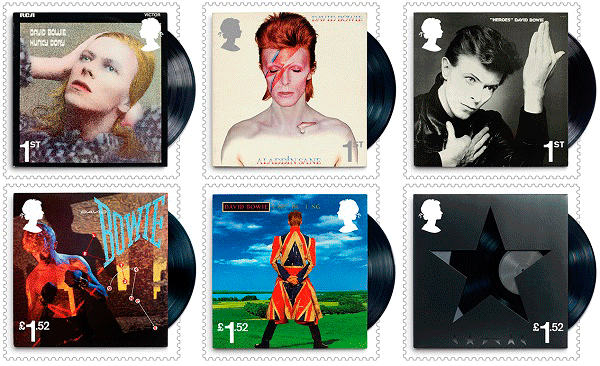 Six of the stamps will feature Bowie album covers: Hunky Dory (1971), Aladdin Sane (1973), Heroes (1977), Let’s Dance (1983), Earthling (1977) and Blackstar (2016). The remaining four will show images of Bowie performing live during his Ziggy Stardust Tour (1972), The Stage Tour (1978), The Serious Moonlight Tour (1983) and his A Reality Tour (2004). 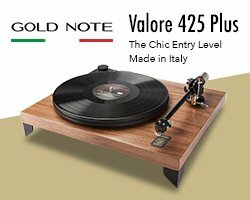 This Special issue will be released on 14 March 2017, pre-orders are available now from the UK’s Royal Mail website. Hunky Dory, Let’s Dance, Earthling and Blackstar album covers © Jones/Tintoretto Entertainment Company LLC; Aladdin Sane album cover © Jones/Tintoretto Entertainment Company LLC and Duffy Archive Limited; “Heroes” album cover © Jones/Tintoretto Entertainment Company LLC and Masayoshi Sukita. The Ziggy Stardust Tour, 1973, London © Ilpo Musto/REX/Shutterstock; The Stage Tour, 1978, Frankfurt © Hans H Kirmer/DPA/PA Images; The Serious Moonlight Tour, 1983, Brussels © Andre Csillag/REX/Shutterstock; A Reality Tour, 2004, Isle of Wight, photo by Mark Shenley © Camera Press London; miniature sheet border image of The Glass Spider Tour, 1987, Mendig © DPA/Alamy Stock Photo.